Down the TBR Hole: They just keep coming! Can you believe this is the eighth week I've done this already??? That's insane! I mean, it's... Kind of working... XD You can check out last week's Down the TBR Hole here! Down the TBR Hole is a (very) bookish meme, originally created by Lia @ Lost In A Story. She has since combed through all … Continue reading Down the TBR Hole: They just keep coming! The Spring Cleaning Book Tag: Unhauling More Books! Hey guys! (I know it's not spring, shhh let's just pretend shall we) As many of you may know, I (fairly recently) started doing the Down the TBR Hole meme, in which you go through 5-10 books on your TBR and decide whether to keep them or let them go. As I started with about … Continue reading The Spring Cleaning Book Tag: Unhauling More Books! 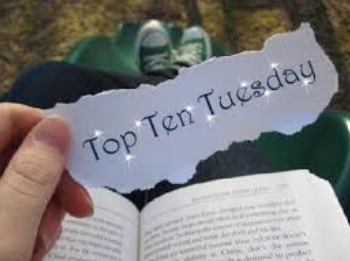 Down the TBR Hole: And another one bites the dust! And another one bites and another one bites and another one bites the dust-ah! Hey y'all! I know I just did one of these a couple of days ago, but my TBR hole is just pitifully deep and I can't afford to take a week off! As long as you guys enjoy these, I'll keep … Continue reading Down the TBR Hole: And another one bites the dust! I Am More Happy Than Not Tag! Thank you so much to Aimal @ Bookshelves and Paperbacks for tagging me! Way back in 2015, when I was actually tagged, I had not read this book. I have now though, and- I have no words. I NEED HISTORY IS ALL YOU LEFT ME. I NEED IT NOW. Moving along from that craziness... This … Continue reading I Am More Happy Than Not Tag!